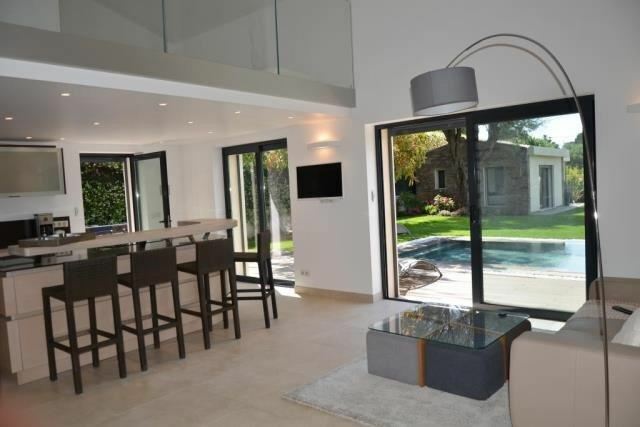 This beautiful property is situated on the west side of Cap d’Antibes and comprises of 2 villas. 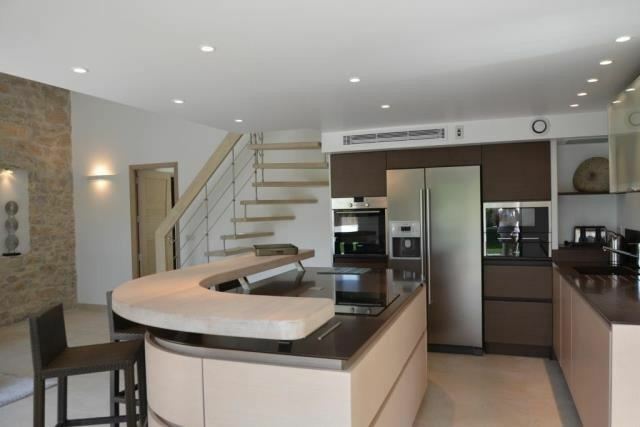 The property is a mere 300 metres from the sandy beaches where guests can enjoy the Mediterranean sunshine to the fullest. 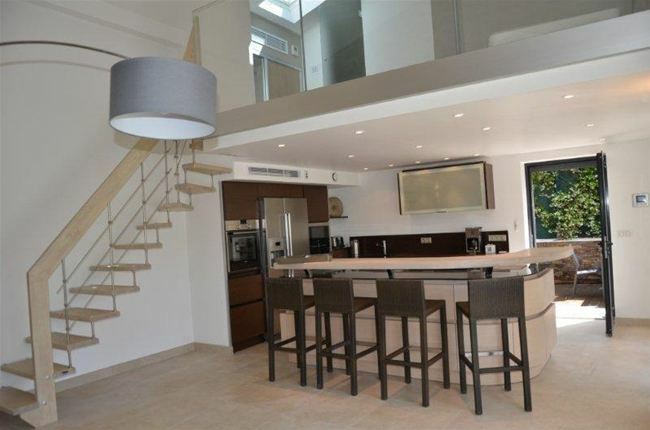 The property has been decorated and furnished to a high standard with modern touches throughout. 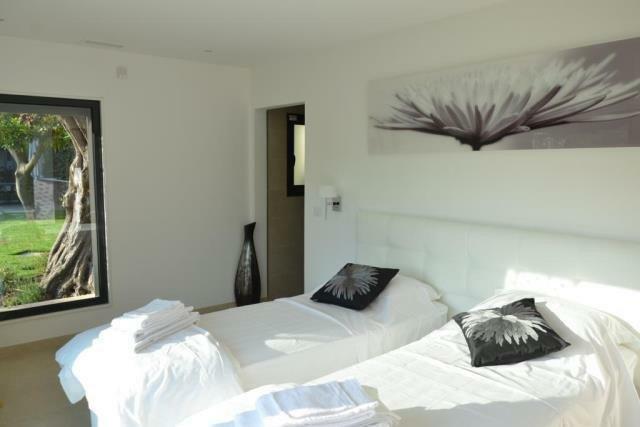 There is a total of 4 wonderfully designed bedrooms and bathrooms plus a mezzanine and spacious living areas for guests to enjoy. Large French windows open out on to a terraced area that is perfect for sun bathing or for outdoor dining. 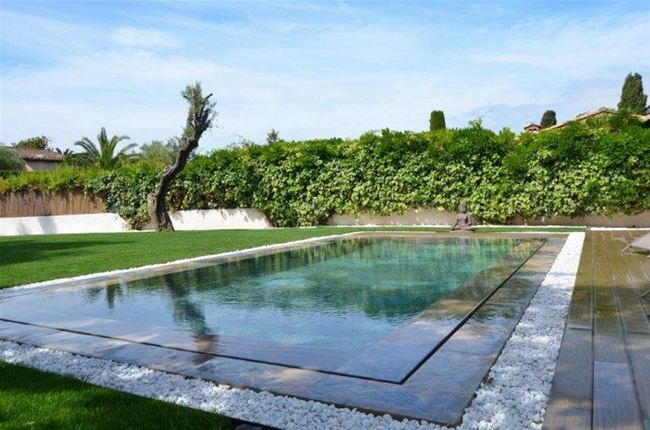 The salt-water swimming pool is a contemporary design and is surrounded by flat manicured garden.